After implementing a new-and-improved system to help eradicate online cheaters, Konami have created a faster and more efficient submission process to "ensure that repeat offenders are banned or suspended" from online play. As of today, 274 players have been banned from PES 2013, so - on average - Konami have banned just over two players every single day since the game's launch back in September last year. Although it's only the minority who are ruining the online experience, the issue has been a big problem in the series for a long time. Some fans have even said they now refuse to play online because of the number of cheaters. However, after extensive behind-the-scenes work, and with assistance from the major fansites (including yours truly), the PES Team have finally provided fans with an improved system. Konami themselves say they are pleased to announce that progress has been made - while also confirming that progress will continue. 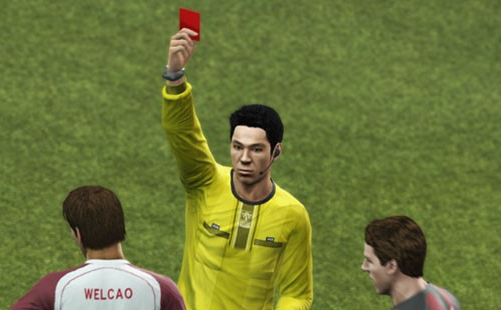 Make sure you bookmark/favourite the new submission form, so if you do encounter an online cheater, you can help get them banned by sending their details direct to Konami.